I am richly blessed in the community department. Not everyone is so lucky. 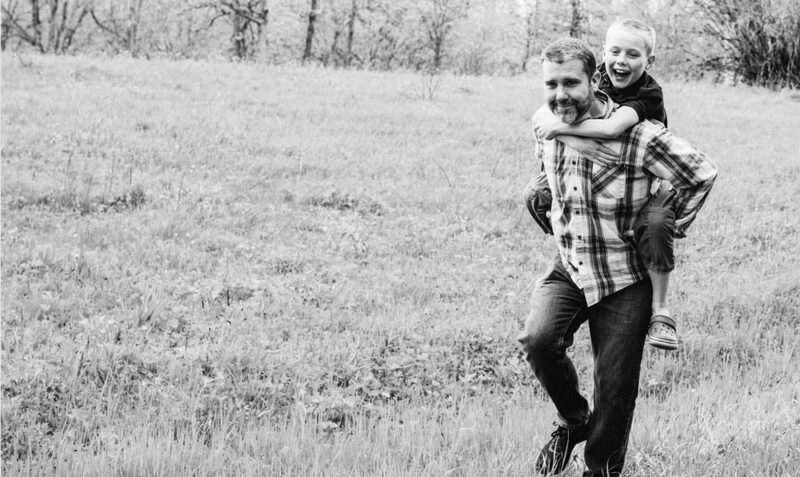 Like others who are in the throes of crisis, autism parents often seek comfort from friends, but all too often, they get inspirational platitudes instead. Those platitudes aren’t malicious, of course. Just unhelpful. This phrase is not biblical, despite what people think. It is, at best, a hopelessly flawed paraphrase of 1 Corinthians 10:13, which assures us that God “will not allow [us] to be tempted beyond what [we] are able” (nasb). Paul is giving a straightforward maxim about sin and temptation in that verse, not waxing eloquent about life circumstances. In order to interpret those words in such a way, you have to squint your eyes hard and look through the verse, like one of those magic-eye pictures that haunted shopping malls in the 1990s. No . . . I don’t see it either. Besides the biblical butcher-job, I hate the implication that God serves up such hardships like a waiter, carefully delivering only the best, tailor-made life-dishes that will correspond to but never exceed our appetites. Life is not like that, and we know it. Hardships often exceed our ability to “handle” them. The little boy who’s been raped by his own grandfather; the Somali mother who lost her five children to starvation; the Syrian refugee who just lost not only her family but also her home, city, and heritage. 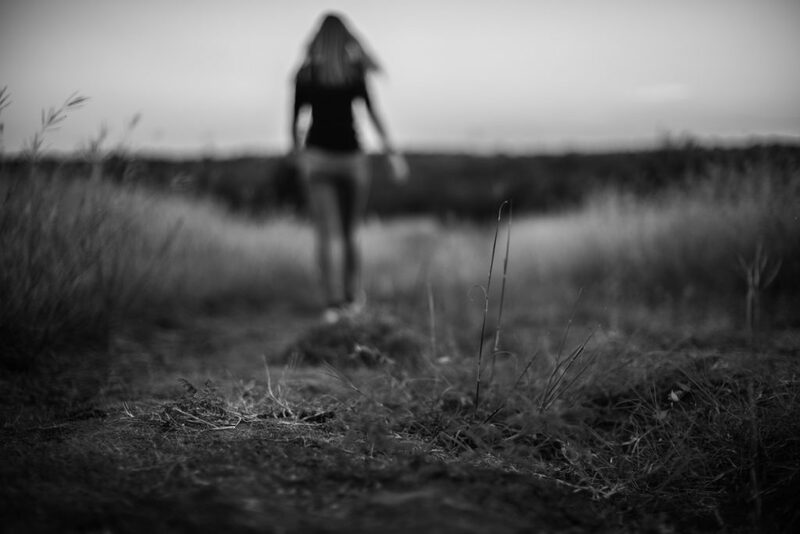 Are such troubles really within the victim’s power to overcome? As extreme as these examples might sound, they aren’t so far out of our reach. 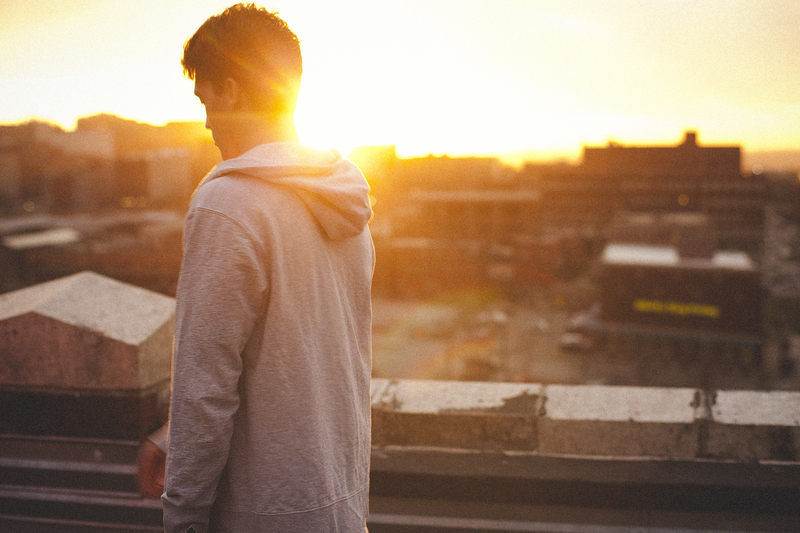 The reason people turn to drugs, to alcohol, and to suicide is precisely because they cannot handle the difficulties that have come their way. In this world, we will have troubles—remember? Such a phrase could only come from the modern West, where we worship the self above all things. As individuals, we believe we are unique, we are creative, and we can overcome anything. We are strong, we are resilient, and we believe in the enduring power of the human spirit. And this is exactly our problem. Can you see the face of Moses? His jaw is moving up and down, but no words are coming out. His eyes bounce around the cave in search of something to hide behind, but he knows there is no escape from The Voice. It is tempting for today’s Western Christian to try to laugh off the question. Who is Moses? Who indeed! He was the long-lost prince of Egypt. The adopted grandson of the king. The legend of his birth and rise were the stuff of timeless lore. He went to the finest schools and received the best training in all the land. The hopes of a slave nation were pinned to his chest. He was the one they had been waiting for. He would fulfill the promise of the God of Abraham. Was there anyone in all the world more equipped to do this job? That’s not how God answers, of course, but follow the scenario out one more step. How does Moses feel when he hears those fictitious words? It might be just the thing, I suppose. After all, any sports movie worth its salt hinges on such motivational speeches. Moses might, like a high-school linebacker, grit his teeth, jump to his feet, and sound his barbaric yawp. I don’t think that’s quite right, though. There is nothing in this passage that would indicate Moses is fishing for a compliment or a little pick-me-up. He seems legitimately distressed. No, I don’t think he reacts well. I think he gets even more anxious. You know why? Because he has a good head on his shoulders, that’s why. Halftime speeches are flimsy when you know you’re outmatched. Yeah, sure, Moses had been the golden boy once, but that was a long, long time ago. In the subsequent decades, he had been living the life of a Bedouin shepherd. Even if anyone could remember him back home, it wouldn’t help him much. The Hebrews would likely view him as a failure, and the Egyptians knew him as a fugitive. He had no assets, no connections, and even his language skills had deteriorated so much that he needed a middleman who could better communicate to the world around him. Indeed, many scholars have suggested that his brother Aaron might have served more as a translator than as a spokesperson. When Moses finally asks, “Who am I?” he doesn’t want a pep talk. He wants an escape. I know how he feels. You probably do, too. Sometimes we don’t need encouragement as much as we need a reality check. Sometimes our fears tower around us, and we just want people to understand what is happening. We’re not looking for pity; we’re looking for deliverance. My son Jack’s severe regression forced me there, next to my old friend Moses. We stood in the cave together without shoes, feeling helpless and misunderstood. Who are we to tackle these circumstances? Why would God give such missions to us? Many people have told me, “God knew what he was doing when he put Jack with you.” It’s a compliment, I know, and sometimes, when skies are clear, I can almost agree. But then the storm starts all over again, and all I can do is shake my head. Do people think I know how to deal with these new developments? Do they think I have the key to disarming his self-injury and panic attacks? Does my family have an unlimited supply of strength to make it through the long bouts of sleeplessness, and the emotional capacity to ride the swells and regressions of hope and despair? The land of unanswered prayer can be a confounding place when the flood waters come. The conditions are too harsh, and I’m not strong enough to stand, let alone to navigate my way out of it. I’m not convinced you can, either. I understand that sounds demotivating, but hear me out. The Bible is not a modern Western document. Rather than telling us we are invincible, Scripture continually stresses the opposite. As individuals, we are frail. Heartache abounds far above inspirational anecdotes because human weaknesses abound far above our ability to overcome them. The human spirit is futile, feeble, and flawed. “The heart is deceitful above all things,” Jeremiah 17:9 says. And even when human spirits are willing, human flesh is often weak (Mark 14:38). I’m not saying we have no strength. We do. I’m not saying we aren’t resilient. We are. I’m just saying we don’t have enough resilience to do any of this on our own. Moses was all too aware of that fact, but he misunderstood the situation. He didn’t realize what God was actually saying. Does God answer the question? No. He shrugs it off. Who is Moses? That’s beside the point. This has almost nothing to do with Moses. The answer is God himself. In his presence, the strength comes. Moses keeps looking for a loophole in this conversation, but each time, God tells him the same thing: “I will certainly be with you.” God didn’t pick Moses on the basis of his competence. No. The only reason this washout shepherd can face a mighty king is because a mightier King walks beside him. That King walks with us, too. How else could we world-weary saints of earth stand against the floods of hell and circumstance? And isn’t this the very reason why he came to earth in the first place? Didn’t Christ come in order to be near us? Jesus walked with his disciples, and even when he left, he assured them, “Behold, I am with you always, to the end of the age” (Matthew 28:20, esv). And even when the end of the age arrives, he will take us to his Father’s mansion, where we will dwell with him forever (John 14:1-2). Even the name of God trumpets the same message. He is called Immanual, which means, “God with us” (Matthew 1:23). “I will be with you” isn’t just a promise. It is the promise. It is both the rationale of the Abrahamic covenant and the goal of God’s great rescue mission. For what did he save us from if not our self-sufficiency? 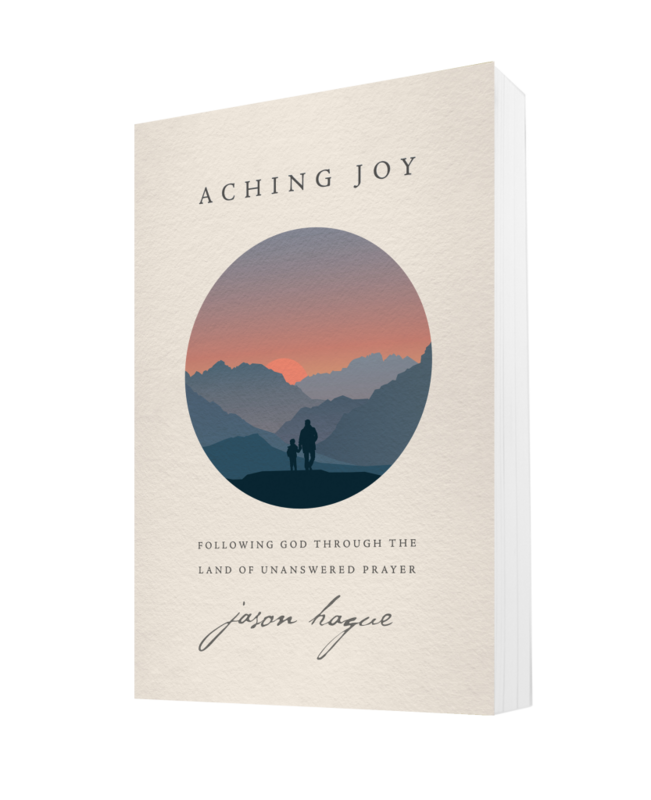 You’ve been reading with Jason Hague from his book Aching Joy: Following God Through the Land of Unanswered Prayer. 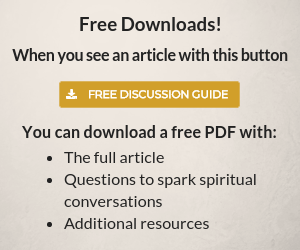 Read the intro and chapter one for free here. 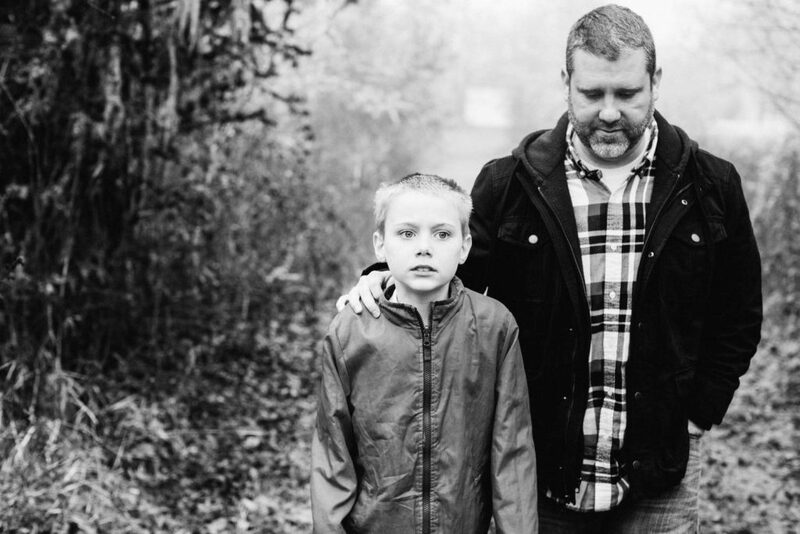 To read Jason’s blog or watch the videos about his family and their journey with autism go to achingjoy.com. Oh man! I heard it again last Sunday when my Pastor said “sticks and stones may break our bones BUT words will never hurt us” is a LIE he called it. BUT in my spirit I thought “maybe” and you confirmed it. never alone and eternally secured. It’s a comfort to realize I don’t have to have it all figured out, or even consider my circumstances manageable. God’s presence makes it a moot consideration. Though He doesn’t take away the circumstances, I notice; so it’s not easy. Thank you so much for speaking what so many of us can’t put in words. I have a 21 year old grandson,whose mother put on the street . Within 3 days he got pneumonia and almost died. Since then I have had him for the past 2 years . He is suffering from schizophrenia, bi polar, with bouts of psychosis, possible autism and 95% of the time delusional. Everyone always tell me I am just not trusting God enough. Plus I have my 86 year old mother to care for and work 40 hours a week. It is too much for me to handle, But with God I have made it two years, everyday I know I only make it because of God, every night my flesh is weak and discouraged.